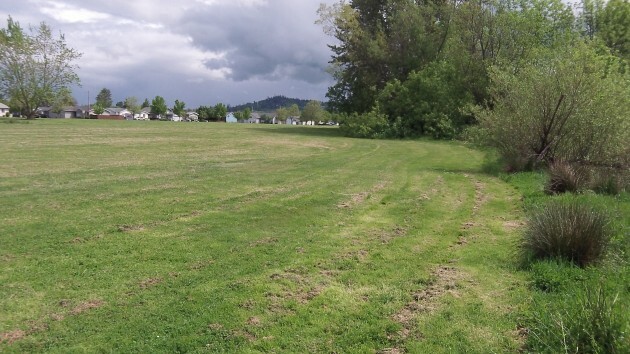 This little-use portion of Timber Linn Park is where a dog park might go. And a view in the opposite direction. If I had a dog that needed room to run, I’d be more than passing interested in what the Albany Parks and Recreation Department is working on. Being dogless, alas, I was still curious about whatever happened as a result of a public meeting announced a couple of months ago. The meeting was to gauge interest in setting up a dog park, and evidently it’s actually going to happen shortly. The plan is to set aside about two acres in the park. And while the location within 90-acre Timber Linn is not yet settled, my guess is that it could be somewhere on the north side of the park, where now there is nothing but a very large expanse of grass and weeds, recently mowed when I walked around on Monday. That’s roughly the area where the city and the Albany YMCA were going to put up a new Y a few years ago. That plan fell apart, as luck would have it, and so this wide-open field remains available for public use. It’s across Dogwood Avenue, more or less, from the graveled portion of the parking lot of the Linn County Fair & Expo Center, unused most of the time and therefore available for dog owners to park if they come from farther away than they or their dogs like to walk. Dogs, being vastly superior and more honorable than human beings, deserve a park! My wife and I are professional dog trainers. We have been teaching here in the Will. Valley for 30 years. One thing we teach in our classes is to be a responsible dog owner. I saw this issue come up last year and that there would be public comments as to whether the City should move fwd. with this idea. A few days later I saw that the City made there mind up to build a dog park without public comment (as I was going to attend). My dog (always on leash) and I have been recently attacked 3 times and have had 2 more loose dogs run up on us in parks clearly marked that dogs “Must be on Leash.” We do NOT believe in off leash dog parks ! Off leash parks only encourage people to be irresponsible with their dogs. Most off leash parks rules state that the dog can be off leash as long as the owner has voice control over the dog, most people never get off leash control over their dogs. 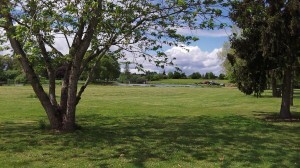 Salem’s Minto Brown Park has experienced numerous issues in their park; dog owners have their dogs off leash throughout the park (not just in the dog area, dog attacks, dogs ears ripped off, known aggressive dogs taken to the park, runners harassed and attacked by dogs, failure to pick up feces. In Portland a few weeks ago a dog was killed by another dog at an off leash dog park. If the City was smart…they would have held public meetings on whether to build a park, they would have consulted trainers and dog professionals in the area for their opinions and if they took a little time to watch “YouTube”, there are numerous videos of dog attacks on there that occurred at dog parks. We have seen an increase in aggressive dogs that we deal with in training. I believe we as a humanity are caring less and less about each other…in effect people just dont seem to respect each other like they use to and this filters into the way they handle and deal with their dog. I will guarantee you, their will be issues at the park, dog fights and so on, people getting injured trying to break up these fights. Who will patrol, control and enforce park rules…NO ONE ! The City will not have Code Enforcement Officers standing by to issue citations for failure to pick up feces, having dogs off leash in leashed areas and citations for viscious animals. The Police dont want to deal with this and have better things to do. One thing the City needs to think about here; THEY are providing a venue that encourages off leash dog activity. If somone gets severly injured breaking up a dog fight in the park…sure the dog owner is liable but is the City also not liable ? At a minimum tax payer funds will be used to defend the City in the law suit. With tax dollars so tight…these funds should have been used to higher one more Code Enforcement Officer to write more citations on the dog issues we already have throughout the area. To the dog owners out there; your dog does not have a trait to run free. It is domesticated it is not a wolf in the wild. It is your responsibility to keep your dog safe and obey dog related statutes. If your dog has temperament and aggressive issues DONT take it to dog parks ! If you expect to have control over your dog when off leash, then at least…train it ! I hear what you are saying so then you can choose not to go, on the other hand let others have that same choice. My dogs deserve more than my back yard and house to room free in. They want to run and be free. Where can I do that now, no where……. In theory people wouldn’t take a knowingly “mean” dog and let it roam with others. Accidents do happen and they can happen anywhere, leash or no leash. The reason you have dogs roaming free in leashed only areas is because there is no where to go to unleash them. Maybe a dog park would eliminate your unleashed encounters……. I have attended both the public meetings and committee meetings for the dog park and disagree with Craig. A dog park will be a HUGE asset to the City of Albany. We, ourselves, have travelled with our small dogs and regularly use our GPS to find a dog park when we are out of town. If we have a choice to stay in overnight in Albany or Salem, traveling north, we would pass by Albany and spend our money in Salem so our companions can have a run. We travelled from Florida to Oregon doing that and the dogs usually got a run, daily! It made them easier to travel with, and only once did we encounter an aggressive dog, and its owner quickly removed it at the demand of the other people there. Much of our own dog’s training happens at dog parks: socialization, playing with doggy friends, and exercise for weight control for our older dog. As a person who is working with the City of Albany, and helped to set up a Non Profit group to create a dog park and run it, in Albany, GA, I feel that i have a certain amount of hands on knowledge of this subject. Also, i have been a responsible dog owner since the mid 1980s. First of all, the meeting was announced and posted. Around fifty or sixty people showed up to give their input. I was there and volunteered to be on the committees. I’ve seen in many states and cities that dog parks work successfully when people work towards the success of the parks and cooperate. I have found that people who take their dogs to a park on a regular basis are not only responsible pet owners, but responsible people in general. And big hearred. I am used to cleaning up after my dog, and also notifying people if droppings need attention, and they are talking to others. “Clean Up in Aisle 3!” focuses attention, with light humor. It is true that not all pet owners are responsible, and not all dogs are well trained. Not all people are kindly disposed to others, either. It’s an imperfect world. Things can happen at dog parks, but if people are minding their animals, aggressive behavior can be stopped early on, and other pet owners do help, if there is a common bond to make the park work. Going to the Canton Paw Park over a hundred times over a couple of years, it worked out well. There were many naysayers upon hearing the plans, but they were proved wromg. And it’s far better to have legal areas for dogs than have them illegally running for exercise in town. One of the reasons that I chose to buy a house here was because I heard a year and a half ago, at Waterloo Dog Park, that there would be at least east one dog park here. Corvallis has several, but it was outside of my price range. Mr. Craig Ziegenhagel–Evidently you are not aware that advance notice was publicized in the ADH newspaper about a meeting about dog parks in Albany, and that the meeting was attended by several dozen people. Since then there have been two other meetings involving the public and there will be more. You say “We do NOT believe in off leash dog parks !” Obviously your belief is vastly outnumbered by those who do, for good reason. And you’re right, there will be problems, like with anything. Perhaps you would like to join our support group that is starting–Friends of Albany Dog Parks–then you could be part of the solution. And lastly—would you be so kind as to post the name of your professional dog training business? Keith, I missed the initial notification notice. I would like to be involved in the City process if that is possible. In dealing with thousands of dog owners over the years here in the Will. Valley…I am just aware of too many problems at off leash parks. The problem is always the judgement of the human being here not that of the dog. I just dont see how anyone is going to ensure any degree of safety here. If the City had looked at all the information “out there” about the Cons on Dog Parks and reviewed the injures to dogs and people, the liability issues involved….I dont think a lot of Admins would go for it. My opinions were shared here as I DO NOT want to or like to see dogs harmed or killed or people hurt tryting to break up dog fights….they were not meant to start some internet firestorm for those that believe dogs should run free. I was one of a roomful of citizens that attended the public meeting on March 6th to offer comment about a proposed dog park. (There was even a comment that there were more citizens at the Dog Park meeting than attend city budget meetings.) P&R Director Ed Hodney said that his office has received many requests for an off-leash park, yet he still asked the audience for a show of hands which indicated an overwhelming number that supported the idea. I volunteered to be on two committees and I’m pleased to mention that an APD officer attended some of the smaller design meetings because the police realize that education & enforcement are going to be required. With my dog experience (Shelter Technician for two counties and one commercial kennel, dog trainer, AKC Canine Good Citizen tester, volunteer with multiple rescues, etc. ), I am weary of off-leash parks in general but I do believe that everyone needs a safe, fenced, legal place to exercise their dog off-leash. Enforcing the leash law may actually become easier when our officers can point citizens to legal, off-leash locations. Some of the ideas I’m advocating in order to help keep our dogs safe in the fenced area are 1) separation of dogs by size to prevent trampling/prey drive issues and 2) a third space in the park that I call a “training/play date area.” Many owners would bring their dogs to an fenced off-leash area for exercise- not necessarily “socialization” -and this small, third space could be used “one-owner-at-a-time” to practice their dog’s off-leash recalls, play a private game of off-leash fetch, provide a neutral territory for arranged ‘play dates’ with only 1 or 2 other dogs, offer a fenced off-leash area for timid dogs, offer a safer fenced off-leash area to go if you arrive at the park and don’t like how the other dogs are playing or feel there is an unsafe situation (i.e. little kids). In other words, this third area, if used properly, may cut down on a lot of issues that cause dog bites while offering our pets the exercise and mental stimulation they need and deserve. At least that is my hope. Of course there are going to be issues, it’s naive to think otherwise when you get a pack together (dog or human! ), but with community education and an ‘outside the box’ design, Albany just may build a better, safer dog park. “B”; great comments and I agree with most of them. I see the positives, some perceived positives and like you I also have concerns. I thought it was interesting to check out the APDT’s “Dog Park Pros and Cons”…that their Cons were more than the Pros. It will take just a few irresponsible people or a law suit to ruin this for everyone. Great comment! The committee is very lucky to have you as an advisor. You seem to know dogs/people very well. I really hope to see this park go through. I live in Millersburg and we do not have a park that allows off leash. 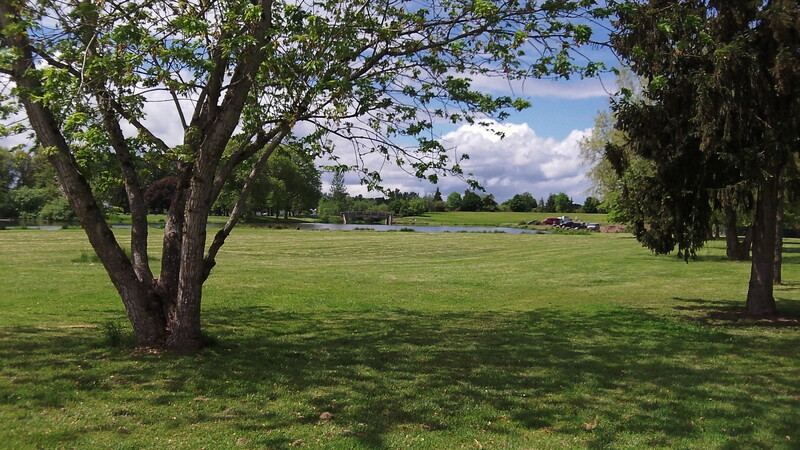 Problems can happen with every situation, including, having a public park in the first place. There is vandalism, fights, drug use, injuries from play equipment mishaps, etc etc, but we still provide the service and hope people are responsible with that service. Again Mr. Craig Ziegenhagel–Your dog being attacked while on leash in an area marked “Must be on leash” by dogs off leash has nothing to do with a fenced off leash park. You really need to visit more off leash parks to broaden your expertise. Keith, You seem to be attacking me here just because my opinion differs than yours. This is a sad state of the internet. My point that you are missing is that people who choose to be irresponsible will do so no matter what the law is, what the rules are and so on. I have spent hundreds of hours at Off Leash Dog Parks….a great place to study canine and human behavior. I am concerned that this will just encourage those that are already irresponsible to be more irresponsible. And when (if there are any) Park Monitors even politiely tell people they are breaking the rules or their dog is aggressive….watch out for lashing teeth and it wont be from the dogs. Mr. Ziegenhagel–I’m sorry that you think I was “attacking” you because I stated “Your dog being attacked while on leash in an area marked “Must be on leash” by dogs off leash has nothing to do with a fenced off leash park.” However, I still think I’ve made a valid point. And all those potential problems you have mentioned should be kept in mind, but hundreds of cities around the U.S. have found ways of dealing with them, including the issue of potential lawsuits. I believe Abany likewise can do so. And thank you B. Caffey for your wonderful remarks. I am also one of those who attended the public meeting on March 6th. It was publicized in the DH more than once, as I recall. I marked the date on my calendar because I wanted to be sure not to miss it. I understand your concerns stated above. Therefore, I am a cautious 20 year user of Albany’s parks with my dogs. That said, when the opportunity arose at the meeting to support the creation of one or more off-leash areas at some of the City’s parks (not just Timber Linn), I voiced my enthusiastic approval as did everyone else present. I don’t recall a single dissenting vote, although I’m sure I could be wrong. The hard-costs of creating these off-leash areas are, in my opinion, minimal. Additionally, there is nothing that says once created, they couldn’t revert to today’s status if too many issues that you raise are persistent. I’d rather see some of my tax dollars go to creating this new amenity than some of the other projects currently simmering at City Hall. I’d encourage you to contact Ed Hodney at Albany Parks and Rec. and inquire about when the next meeting will be held if you’d like to formally add your voice to the process. Keith Hendrick, above, asked if you’d be so kind as to post the name of your training business. I note that in your 3 replies since that request you have chosen not to do so. If you are who I think you are, your business is/was in Jefferson, and I have trained a puppy in your Obedience class, as well as boarded her in your kennel. Craig, your experience and opinions could help Albany build better dog parks, if the city makes the final decision to go forward. The choice to have some input is yours. Bill, I have contacted the City by email requesting dates for further meetings and workshops and have recd. no response. I do have opinions on this issue and it appears that they are really not welcome, so for me no further responses here. I dont understand why people want to know my business….so they can bad mouth or cause us harm ? I see no other reason why this is important. Knowing some of the people involved in this project, I have not asked their dog related/business or dog club affiliations…it does not matter. So if the goal here was to stifle an oposing opinion, it worked. It will be interesting to see if local media will report problems at the park and if police will provide statistical data on “calls” to the park. I hope all the dogs remain safe in this venue and that no humans get hurt as well.